don't tell us we're overreacting. I don’t live in Rochester anymore, but I keep tabs on my hometown. It’s disheartening. Three separate incidents spanning two decades (and at least two wives). He also proudly defends his television ads featuring women in bikinis having sauce suggestively dripped on their faces. So I’m feeling pretty hopeful about equal pay, parental leave, living wages, etc. right now. What’s the count for people in DT’s administration who have been accused of domestic violence? Prysm was founded in 2001. According to its homepage, it “mobilizes queer Southeast Asian youth, families, and allies to build grassroots power and organize collectively for social justice.” Current campaigns address police brutality, street violence and deportation. 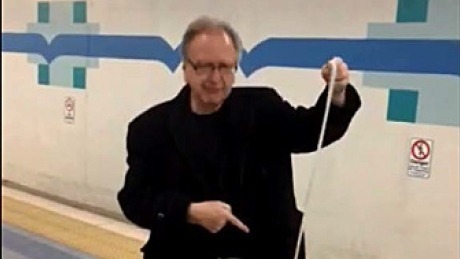 cbc.ca Man uses noose, anthem to threaten women wearing hijabs at Edmonton LRT station, police say Police are looking for a man in connection with a possible hate crime at a south Edmonton LRT station. 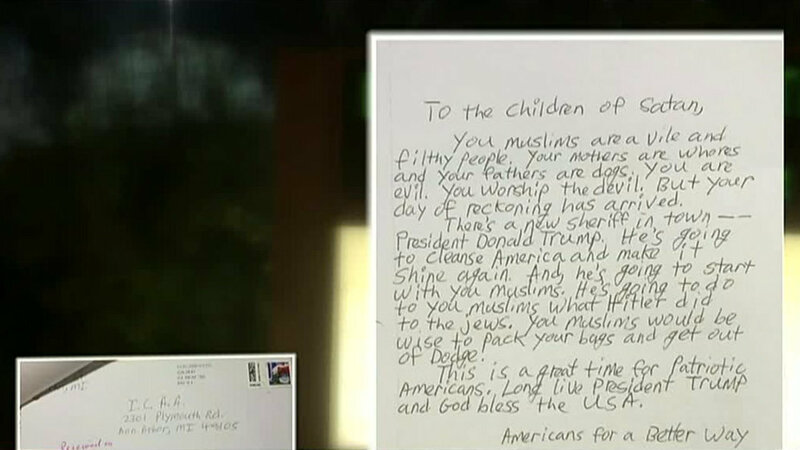 clickondetroit.com Ann Arbor mosque receives hate letter A Muslim civil rights official says a Michigan mosque has received a hate-filled letter sent to Islamic centers nationwide. 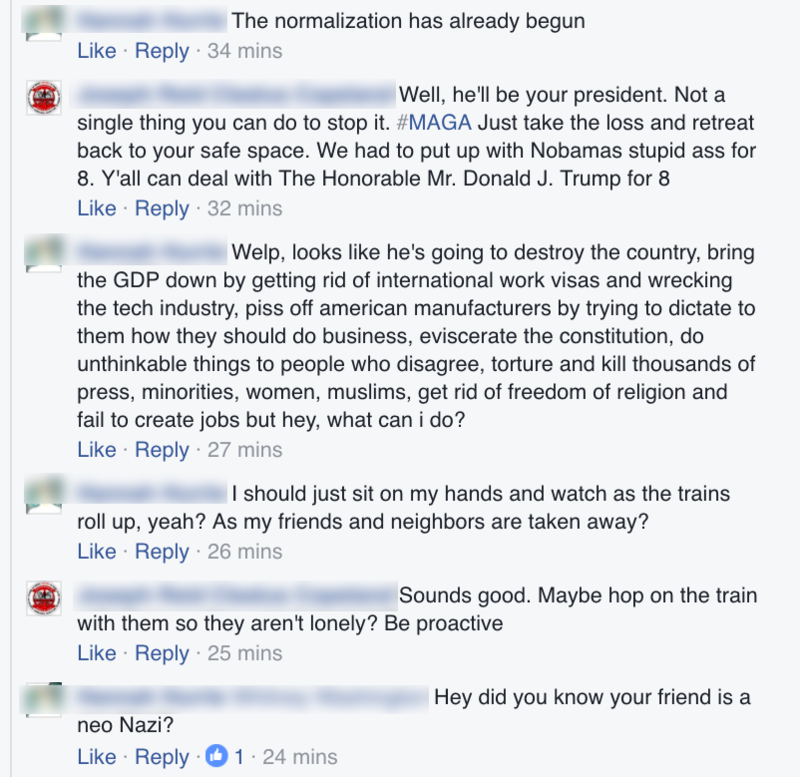 And looks like America’s worst dream is coming true. Today I was waiting with my bags to catch a flight at Newark, NJ airport and a white person next to me commented “Ohh Latino, so packing your bags to go back your home country?” I was shocked!!!! What does that mean???? Has Mr. Trump given every white American a right to make racist comments to every non-white around them?? Especially with Thanksgiving around the corner… celebrating the hospitality provided TO the WHITE european immigrants by the native Americans… I abhorred the sentiment that’s rearing it’s ugly head on the backs of the recent Election results. If every immigrant were to leave this great country… then sorry Mr Trump… you will have to leave too as this country is built by all the immigrants… every white American has an immigrant root… Is this the real agenda behind “let’s make America BACKWARD again” ?? 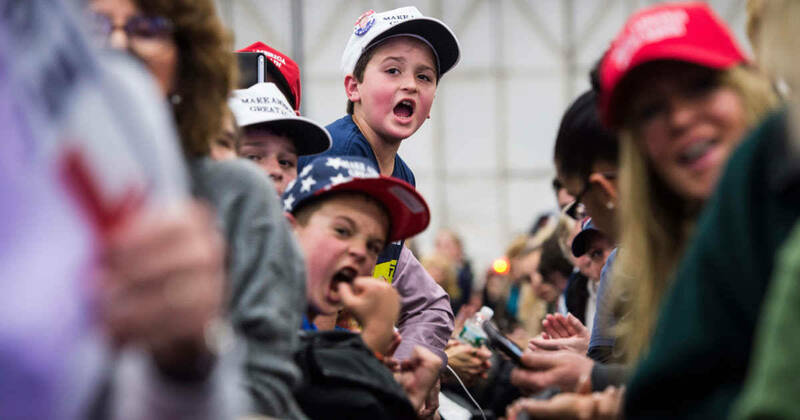 nymag.com 90 Percent of Teachers Say Trump’s Win Has Had a Negative Effect in Classrooms Verbal harassment and use of slurs are on the rise in classrooms. 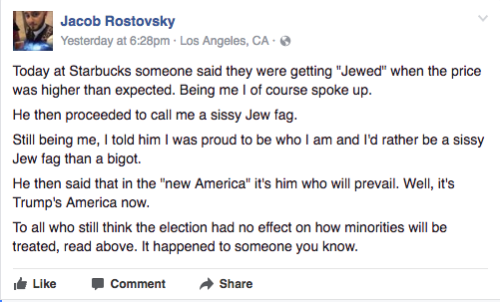 The day after this happened, one of these trolls found out where I worked and sent a threatening email to my boss, trying to get me fired for things I had never said or done.